PVC pipe- it’s not just for transporting your poo from towards the sewer anymore. 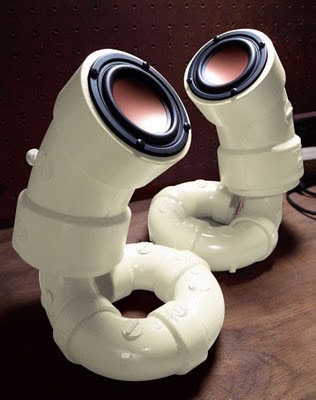 It can also be decent looking audio accessories like these PVC Pipe Speakers. Sure, $200 is a bit much for speakers crammed into plastic pipes but it just goes so well with your metal pipe iPod dock, that you really have no choice but to use them.